NQ is Nils Quak - an artist, writer and journalist living and working in Cologne. Since 2002 he has been releasing laptop-music for labels like Progressive Form, Kitty-Yo and several netlabels. 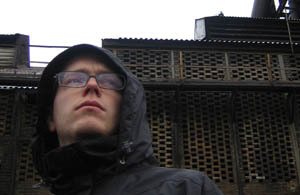 By bringing together his own abstract interpretation of Hip-Hop, the Clicks‘n‘Cuts aesthetic and experimental music between noise and ambient, he has been releasing tracks that not only combine complex rhythms, processed fieldrecordings and subtle sound fragments, but also show a deep buried warmth that makes his tracks more than just a study in sound design. He is also part of the STFU collective which has been organizing festivals all over Europe since 2005.